Book 3 Nights for 2 adults in our Deluxe ensuited Room and pay for 2. Queen Bed, Ensuite with Shower, 80cm Digitial TV, Port & Chocolates. 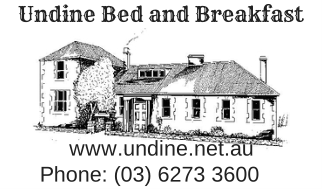 access to Undine Pool from 5.30pm till 6.30pm Monday to Friday and 6pm till pm Saturday. Tea/Coffee and home baking in the guest Lounge Area. Make sure you mention MOFO 2017 in your enquiry. Do you visit Hobart for Netball on a regular basis. Not available between 20th December and 31st January.